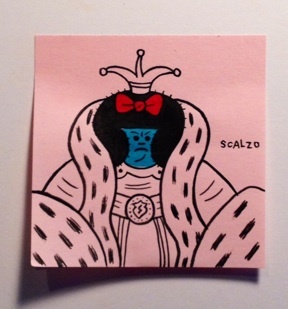 3"x3" post-it for the GIANT ROBOT POST-IT SHOW in Los Angeles. Ink and acrylic on paper. unframed. signed on front in ink, and on back in pencil.